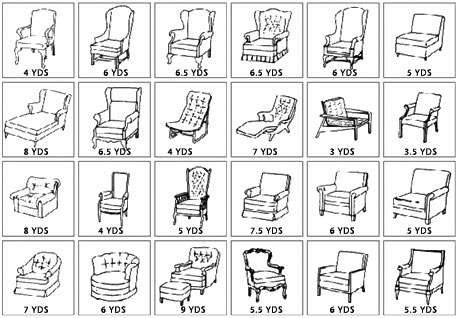 The images to the left represent several styles of chairs and sofas, and the amount of yardage required to re-upholster them. If the fabric or vinyl has a repeat, more yardage than the pictures is recommended. Please take a look at the table below the couches. 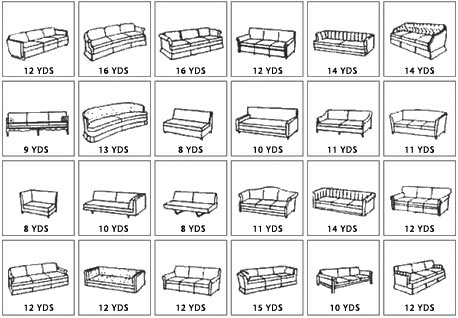 We, or any upholsterer, can give you a more accurate yardage quote. Feel free to contact us anytime.